And I was glad of a chance to rest, And glad of a chance to drink with my friend. We sang to the tune of the wind in the pines, And finished our songs as the star-stream ebbed. Every time I attend a Vandaveer show, I feel like I’m witness to such ineffable beauty that it is foolish to try to capture it in words. It seems akin to the struggle of nature writers in describing wilderness and the experience of the sublime – those moments when you feel small and humble before the magnitude of the skies, caught up in an infinite storm of beauty, inextricably intertwined with the ebb and flow of the seas. And so it is when Vandaveer gathers together for an evening of music-making. 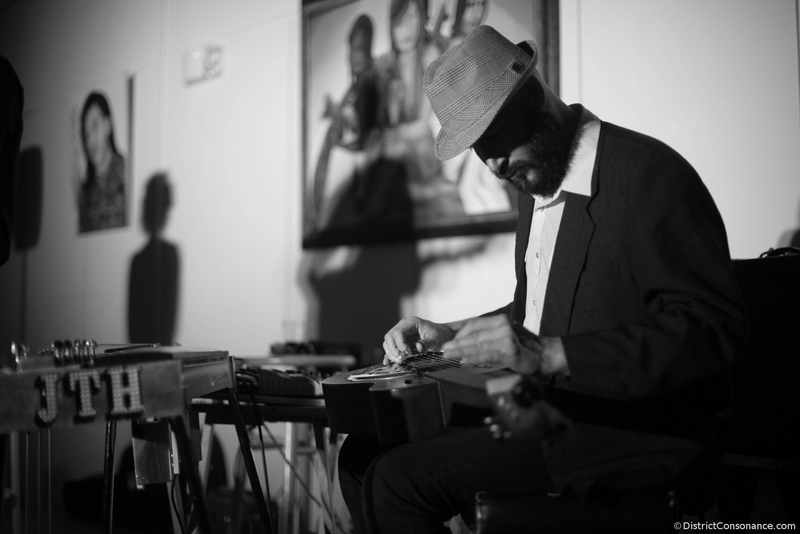 What started as Mark Charles Heidinger’s solo project (“a vehicle for some songs”) evolved into a touring trio (with others, including banjo maestro Phillips Saylor, joining in studio). 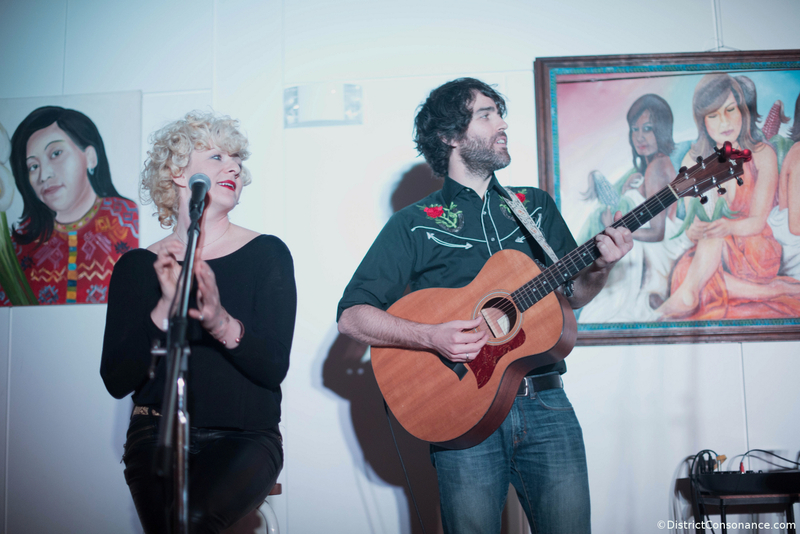 Mark and J. Tom Hnatow met through the rock band These United States, and Mark and Rose Guerin crossed paths through a D.C. collective of folk-minded musicians. 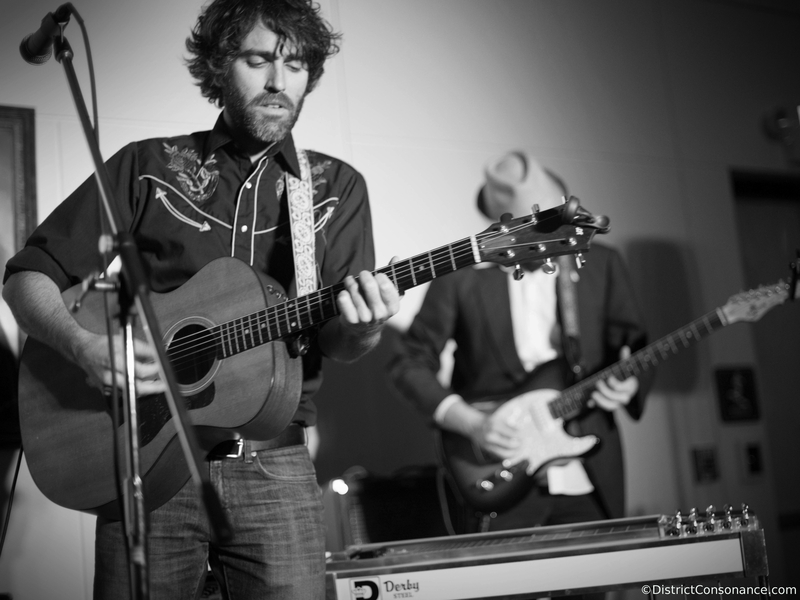 Vandaveer’s sound harkens to folk and Americana but isn’t confined to a neatly-labeled genre. The harmonies send chills down your spine, the clever turns of phrase tickle your brain, and the pedal steel adds shades of color, soothing aching souls (fretless and free, Soul, clap thy pinion! -Robert Browning). I’ve written about Vandaveer before (here, and my interview with Tom, the steel player, here). After more than a year of hearing me gush about the band, a group of friends joined me for a Vandaveer show hosted by Stone Room Concerts at the Unitarian Universalist Church of Arlington, VA.
House shows are not exactly a new thing – think back-porch jams in the heart of Appalachia, or here at home, D.C. punk pioneers Fugazi playing their first shows in a church basement. But the concept of “living room tours” is undergoing a transformation / resurgence as a different way for artists to share music, tap into new markets, and redefine the live music experience (check out this nifty comic tutorial (by Ben Claassen III), and read Pitchfork’s “Playing House”). The term “house show” may be a bit misleading, though. 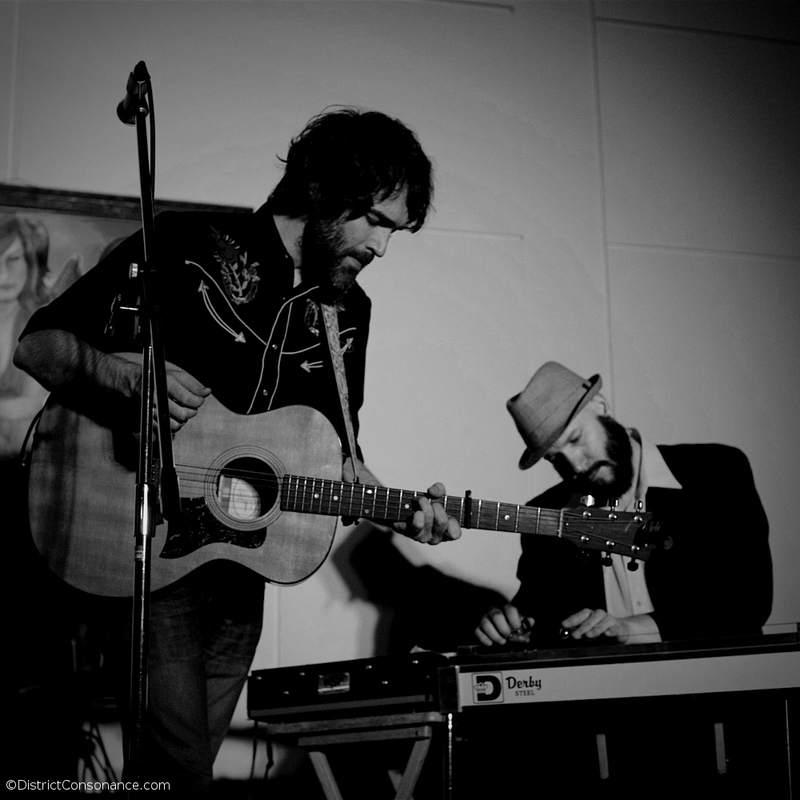 While it is a DIY concert experience that relies on trust – hosts trusting the strangers they invite into their homes, bands trusting their hosts not to kidnap them and turn them into stew – the venues that Vandaveer has played range from a church to a screenprinting studio to a small theatre tucked inside a shopping mall. Happily, the variegated tourscape is all being documented in a diary – so if, like me, you relish an inside glimpse of tour life, check out Tom’s stories from the road. They’re thoughtfully written and deliver sprinklings of history and philosophy alongside tales of stormy drives and sunny arrivals. Part of what I love about the house shows I’ve attended is how intimate they feel and how respectful the audience is — attentive, appreciative, not sloshing beer on the floor or talking to their friends during a song. The banter also makes each show a special experience. The first time I saw Vandaveer, Mark hinted/pled for someone to abscond with the Bulleit bottle that Rose was using as a water flask because it was surely going to break in the tour van, leading to a calamitous flood. (One year later, said Bulleit bottle is still a fixture on tour.) This time, Rose recalled a late-night fried chicken incident gone wrong and Mark alternately dubbed Tom the Duke of Steel, Ansel Adams, and Annie Leibovitz of the band. The experience was, in a word, sublime. The poem I quoted in opening seems fitting for these evenings spent with friends and music, soaking in melodies and lyrics, flying through space so that the stars appear to sing and shine together as one (the reference to the “river of stars” (河星) is to the Milky Way). f you have not listened to Vandaveer, I urge you, unequivocally, to do so (CD/vinyl/digital all available here). They’re on tour now, wending their way to the west coast and then back east again, with a mid-May stop at The Moonshiner’s Ball in Kentucky. And DC/DMV folks, make sure to catch Vandaveer in Baltimore on May 20.